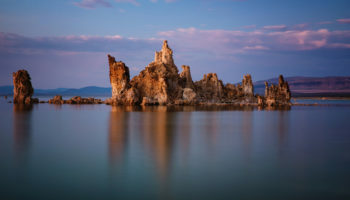 California is easily one of the most popular states for travelers from around the world. 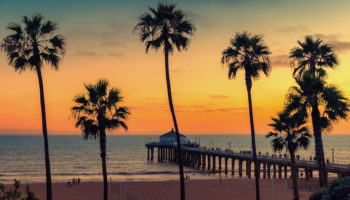 California is home to Disneyland, Hollywood, the beginning of Route 66, incredible beaches on the Pacific Coast and major cities like Los Angeles and San Francisco. With so many places worth exploring, it is important to find accommodation worthy of the destination. Get to know some of the most amazing hotels in California, and aim to book at least a night or two at one of your favorites. Montage is a name synonymous with upscale accommodation, and the Montage Laguna Beach certainly fits within that brand. Located on a bluff overlooking the Pacific Ocean, the Montage is an enormous property, but the space still feels intimate and luxurious. Guests will love the Craftsman-style architecture as well as the enormous spa that boasts views of the water below. You can spend the day on the beach, dine at one of the three world-class restaurants on the property or head off the Hollywood for the evening. Even the most adventurous travelers haven’t likely ever stayed at a hotel quite like this one. The Queen Mary Hotel is actually a floating ship, an authentic ocean liner built in 1936. The Queen Mart Hotel is permanently docked in Long Beach, putting guests fewer than three miles away from Downtown Los Angeles. Many of the rooms are decorated in an original Art-Deco style, and guests can dine at the onboard British pub, nibble on scones in the tea room or just take in the views from the many decks. Just outside of the mid-century modern retreat of Palm Springs is Indian Wells, the setting for the incredible Miramonte Resort & Spa. The property is a sprawling 11 acres, and both the decor and the architecture is heavily influenced by Mediterranean style. The warm weather, mountains and desert terrain are all great reasons to head to the outdoor pools or decks to soak up the sun, but the onsite spa and saltwater therapy pool are also two heavenly ways to unwind. During the middle of the 20th century, Wigwam Motels was a chain of atypical accommodation that families adored. Although many of these vintage hotels are now lost to time, the San Bernardino location remains. Located right off of Route 66, the Wigwam Motel is an iconic nod to the past. Guests can rent their own wigwam for the night, head to the barbecues for an al fresco dinner or kick back at the swimming pool with other guests visiting from around the world. 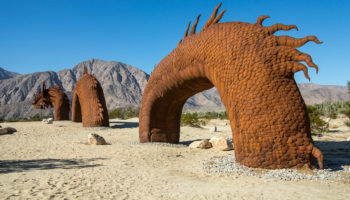 Nestled in the heart of Death Valley, you’ll find the Furnace Creek Inn and Ranch Resort. The resort is divided into two sections: The Inn and the Ranch. The Ranch is casual, popular with families and akin to stepping back in time to the middle of the 19th century. The Inn is a more elegant, upscale and mature hideaway where natural springs serve as a calming sound in the background and meals are a spectacular event. 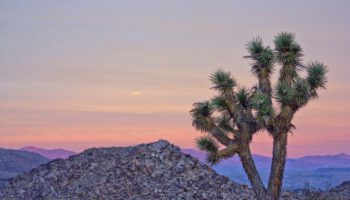 Both halves of the resort offer quick access to the scenic outdoors at Death Valley National Park. The San Francisco Bay Area may be best known for the tech industry, but the military hold on the area was strong until quite recently. At Cavallo Point Lodge, in Sausalito, California, guests can stay in the former homes and lodging of military offices. This is a historic property, to be sure, but the amenities are completely modern and include necessities like Wi-Fi and morning yoga classes. Best of all, the property offers spectacular views that look right at the Golden Gate Bridge and the skyline of San Francisco. If you want to make the most of your time in Yosemite National Park by actually spending the night within the park, you don’t have to opt for camping gear. 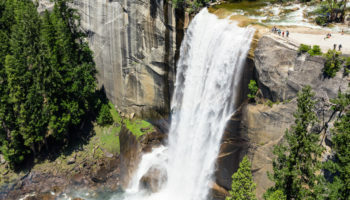 The Ahwanhee, recently renamed the Majestic Yosemite Hotel, offers picture-perfect views along with upscale amenities. Built in 1927 from stone, steel and plenty of glass, the hotel is an architectural landmark in its own right. Guests can sip drinks by oversize stone fireplaces each night and hike to Half Dome or Glacier Point by day. In the middle of San Francisco’s Financial District is a towering, 48-story skyscraper. Occupying the top 11 of these floors is the Loews Regency San Francisco. 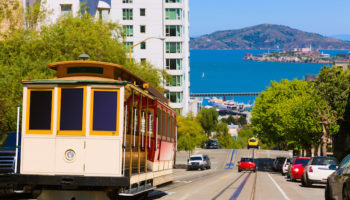 The rooms are exactly what you might expect from a modern, San Francisco retreat, and they offer everything from 47-inch flat-screen TVs to marble bathtubs. This is also the best place to stay in San Francisco if panoramic views of the Bay Area is what you’re looking for. 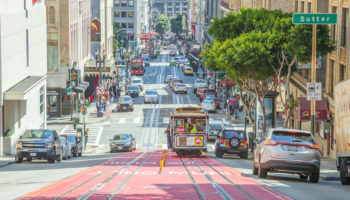 The Loews Regency is a short walk from the iconic Transamerica Pyramid as well as the Embarcadero BART station for transport around San Francisco. This French-inspired resort is a chic and adults-only accommodation choice in the heart of Napa Valley. The rooms for guests are upscale, featuring soaking tubs and heated floors, but the real treats you’ll love are the onsite amenities. Auberge du Soleil is home to a world-class spa as well as a Michelin-starred restaurant called Restaurant at Auberge du Soleil. 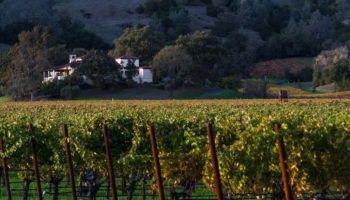 Of course, since Napa Valley is the wine capital of California, all of the rooms are also equipped with private wine coolers. 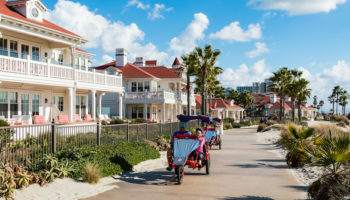 If you want to combine the sunny beaches of San Diego with the history of Southern California, then the Hotel del Coronado is the ideal spot for you. This iconic hotel itself is located in a wooden Victorian building that dates back to the end of the 19th century. The scenery, however, is the main draw. That’s because the Hotel del Coranado is situated on Coronado Island, a beach retreat that is a mere 10 minutes away from the thrills of Downtown San Diego. 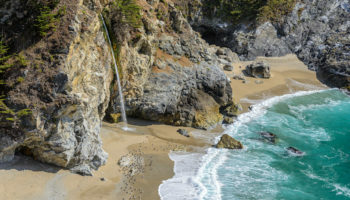 Big Sur is famed for its winding coastal roads and breathtaking views, so it should come as no surprise that one of the top hotels in the region is also well-known for its scenery. 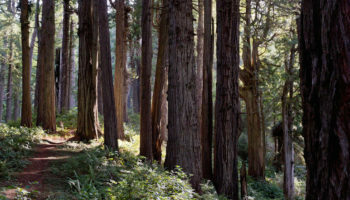 The Port Ranch Inn at Big Sur is situated on the edge of a cliff overlooking the blue waters of the Pacific, and most rooms offer spectacular views of the mountains, the ocean or both. 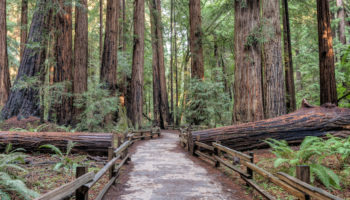 Guests can stay in traditional rooms and suites or upgrade to a private tree-house, and amenities range from star-gazing classes to luxury cars available for road trips.